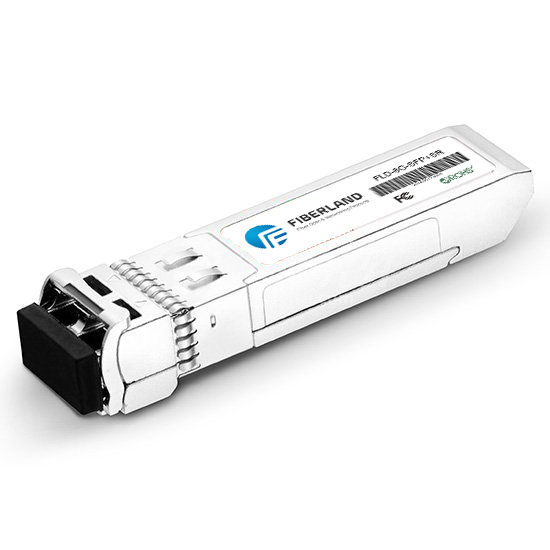 SFP can be easily understood as an upgraded version of the GBIC. The SFP module (which is half the size of the GBIC module and can be configured with more than twice the number of ports on the same panel. Since the SFP module is functionally consistent with the GBIC, Some switch manufacturers are called miniaturized GBIC (Mini-GBIC) .SFP module by adding CDR and electro-dispersion compensation on the outside of the module, SFP and more compressed size and power consumption. Also in order to identify the convenience, generally the color of the ring to identify the module's parameter type. For example: black pull ring for the multi-mode, SFP the wavelength is 850nm; blue is the wavelength of 1310nm module; yellow is the wavelength of 1550nm module; purple is the wavelength of 1490nm module. 2, according to the wavelength of 850nm / 1310nm / 1550nm / 1490nm / 1530nm / 1610nm, the wavelength of 850nm for the SFP multi-mode, transmission distance of 2KM below, common like Cisco's GLC-SX-MM; wavelength of 1310 / 1550nm Single-mode, transmission distance of 2KM or more, relatively speaking, SFP the price of these three wavelengths are cheaper than the other three. Bare module if there is no logo is easy to confuse, the general manufacturers will be in the color of the ring to distinguish, such as: black pull ring for the multi-mode, SFP the wavelength is 850nm; blue is the wavelength of 1310nm module; yellow is the wavelength of 1550nm module ; Purple is the wavelength of 1490nm module.